We are Bristol's first dedicated sewing cafe! Our light & cosy Sewing Parlour is set up in the basement, with sewing machines available to hire by-the-hour throughout the day. 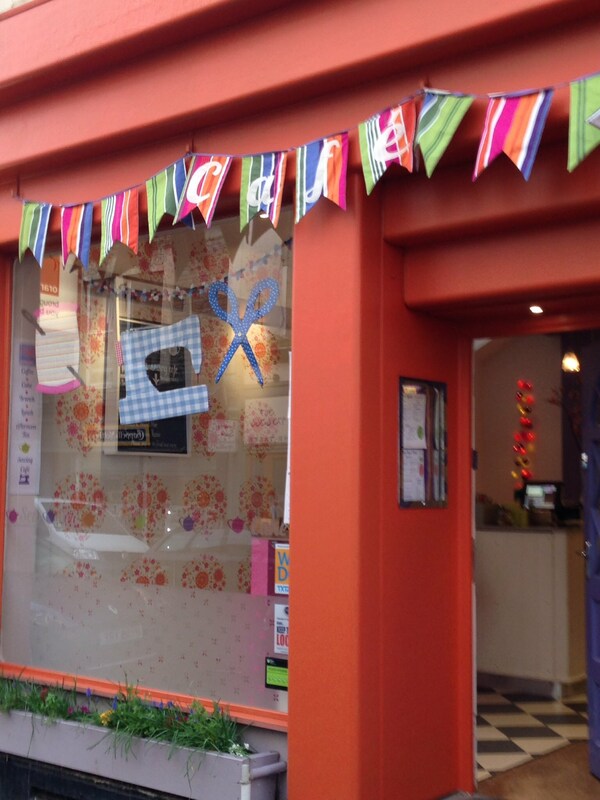 Cordial & Grace offers a bright & friendly environment in which to sew, knit or be creative with friends. Whatever your age or skill level we have something for you! If the BBC's Great British Sewing Bee has inspired you to give sewing a go - we would be SEW delighted to see you! You could join our very own sewing bee at our Sewing Surgery drop-in sessions. You could book a private lesson, and bring your own sewing machine if you wish. You could sign up for one of our many classes, from Basic Sewing Skills to Lampshade Making & many more in between! You could create your very own sewing bee by getting your friends together for a few hours of social sewing. You could even have a sewing party! If you have never used a sewing machine before (or not for a while) then Cordial & Grace offers a new kind of space in which to learn. Our classes are designed to teach you new skills whilst having fun making something beautiful & practical to take away. Oh and don't forget the scrumptious homemade cakes, brunches, lunches & afternoon teas available from our tea room - along with our locally supplied loose leaf teas, artisan coffee & soft drinks, we don't think you'll find better sewing refreshments in Bristol!